Dennis Kappeler joined DLT Solutions in 2004 as an advisor managing the functional upgrade of DLT’s proprietary CRM system. He then joined the company full time in 2007, when he established DLT’s Program Management Office (PMO). In 2014, Dennis was promoted to Vice President of Program and Order Management where he added oversight of DLT’s team of order processors who book upwards of 28,000 orders annually to his responsibilities. 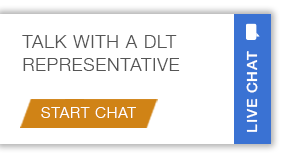 Dennis also provides oversight on DLT Solutions’ custom-developed customer portals. Previously, Dennis spent a decade consulting for several government agencies including the NSA, DOJ, and the U.S. Postal Service, OIG. During this time, Dennis performed needs analysis, presented recommendations, and oversaw the implementation of automated systems to streamline business operations. Prior to consulting, Dennis worked on classified projects for several large system integrators in the public sector. Dennis holds a Bachelor of Science degree in Computer Science from Virginia Tech and an Associate’s degree in Photography.